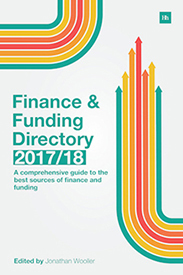 "The industry's single most comprehensive guide for financial and funding sources available for your clients"
The A-Z listing is as straight forward as it looks; company name, contact details and type of finance. The Category listings are on the other hand more of a guide. Ideally helping prospective clients find their way in the finance market by targeting the attributes to suit their businesses. There is a huge array of finance products available in the market today and finding the right company to go to can sometimes be a very confusing exercise. These category listing are here to help make the way a little clearer.